A Christmas in Tulsa, Oklahoma can be truly magical with the frosty temperatures, snow-covered ground, and bright lights of storefronts, homes, and offices. If you love the atmosphere of Christmas in your Oklahoma town and want to make your home or office a full part of the festivities, call Green Leaf Lawn today to learn more about our Tulsa Holiday Lights in Oklahoma services. We offer a number of different Tulsa Holiday Lights installation Oklahoma packages, from modest to extravagant, to suit many different budgets and ideas about holiday lights and decorations. 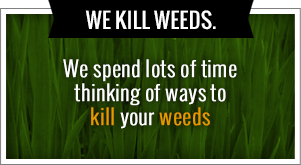 Our number is 918-640-6405, and for your convenience we have an amazing website, www.greenleafweedcontrol.com. Click on over today and find out how we can service you and your families Tulsa Holiday Lights needs this Christmas season. We are confident that once you make that initial call to schedule our Tulsa Holiday Lights installation service, you will be extremely pleased with our efforts and will call back year after year. There is something truly magical about enjoying the holiday season through a child’s eyes. For a child, everything about the holidays is wonderful, amazing, and full of pure, unbridled joy. When we hang holiday lights at your home, we want to recreate those childhood feelings of joy and excitement in the Christmas season for you by reminding you just how magical Christmas can be. As you gaze at your dazzling display of lights and decorations, we believe those feelings of simple enjoyment will come back to you in a way you’ve never before experienced. As a professional Christmas light installation Oklahoma company, we take a lot of pride in the light hanging work that we do. To us, hanging holiday lights is more than just manual labor; it is a true art form. We approach every job to hang holiday lights as both a realization of our customer’s vision and an advertisement to neighbors of the quality, artistic, and professional work we provide. In the service-oriented business where we operate, customers are everything. We know that it is you that supports our Christmas light installation Oklahoma services, and we want to be sure you feel our gratitude for choosing us. Throughout every aspect of your installation, we make you our absolute top priority, and we truly do not rest until every one of our customers is satisfied. 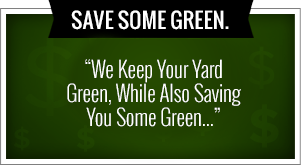 If you are in the market for a Christmas light installation Oklahoma package, call Green Leaf Lawn to request your free estimate today!